The main APT tourist office is a five-minute walk from Termini station and offers information on everything tourist-related in Rome. There are also 9 convenient tourist information kiosks (PIT) dotted around the city that can give you maps and pamphlets, and sell tickets for tourist buses and boats. Most kiosks are open 0930-1900. 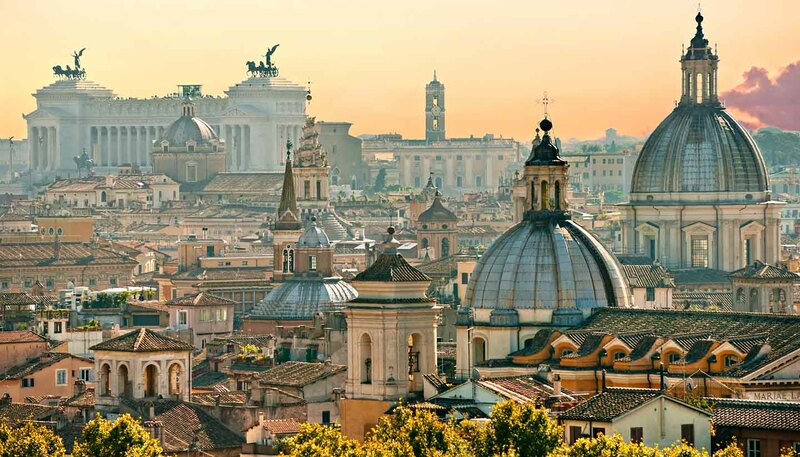 The Rome tourist board offers the Roma Pass (www.romapass.it), which includes free access to the first two museums and/or archaeological sites, and discounts thereafter, plus free travel on public transport. It's valid for 48 hours or three days. Buy it from any tourist information point, participating museum or site. The Rome City Pass (www.turbopass.com) is valid for 2, 3 or 6 days and includes free entry to the major attractions of Rome, free travel on public transport, a hop-on-hop-off bus tour ticket, many discounts and allows you to skip the queue at the Vatican, Sistine Chapel and the Colosseum. The Roma Archeologia Card (www.rome.net/archaeologia-card) allows entrance to the Colosseum, Palatino, Terme di Caracalle, Museo Nazionale Romano (Palazzo Altemps, Palazzo Massimo alle Terme, Terme di Diocleziano, Crypta Balbi), the tomb of Cecilia Metella and Villa dei Quintili. The pass is valid for seven days from the first day of use and can be purchased at any of the participating monuments or museums. Alternatively, holders of the 3-day OMNIA Vatican and Rome Card (www.romeandvaticanpass.com) get free entry to the Vatican museums and Sistine Chapel, complimentary access to a further two major attractions, including The Coliseum and the Roman Forum, plus a hop-on-hop-off bus tour ticket, unlimited travel on public transport and a guidebook. It also allows discounted entry to over 30 others sights and museums. Today the Roman Forum is a vast expanse of tumbledown, marble fragments, columns and floor layouts. But with a little imagination (and an audio guide), you can envisage the political, commercial and social heart of ancient Rome. Above it all is the Palatine hill where once the spectacular palaces of the Roman emperors overlooked the Forum. Telephone: +39 6 3996 7700. Daily 0830-1630 (last Sun in Oct-15 Feb); daily 0830-1700 (16 Feb-15 Mar); daily 0830-1730 (16 Mar-last Sat in Mar); daily 0830-1915 (last Sun in Mar-31 August); daily 0830-1900 (1 Sep-30 Sep); daily 0830-1830 (1 Oct-last Sun in Oct). Emperor Vespasian began this giant amphitheatre in AD72 and his son Titus completed it eight years later. On opening, Titus staged a run of games that lasted 100 days, during which 5,000 animals were slaughtered. Explore the massive amphitheatre and the skeletal remains of underground chambers where gladiators and beasts were held. Daily 0830-1700, although it shuts later in the summer. The Pantheon is Rome's best-preserved ancient monument. Believed to have been built by Hadrian in the 2nd century, this was once a Roman temple and became a church in the 7th century. The radius of the dome is exactly equivalent to the height. The vast brass doors belonged to the original Roman building. Telephone: +39 6 6830 0230. A glimpse of Michelangelo's depiction of The Creation is worth the queues. Built as a private chapel for the popes, Pope Julius II commissioned the precocious artist to paint the ceiling frescoes and work was completed in October 1512. Highlights of the vast museum include Raphael's Rooms, the Etruscan Museum, and the Pio-Clementino Museum with classical masterpieces Laocoön and the Apollo Belvedere. Telephone: +39 6 6988 4676. Mon-Sat 0900-1800 (last entry at 1600) every last Sun of the month 0900-1400 (last entry at 1230). Yes (except the last Sunday of the month). St Peter's Basilica lies above a shrine said to mark the burial ground of the saint. Inside is Michelangelo's Pietà and Arnolfo da Cambio's bronze statue of St Peter, which is famed for its foot being worn to a nub by pilgrims' kisses. 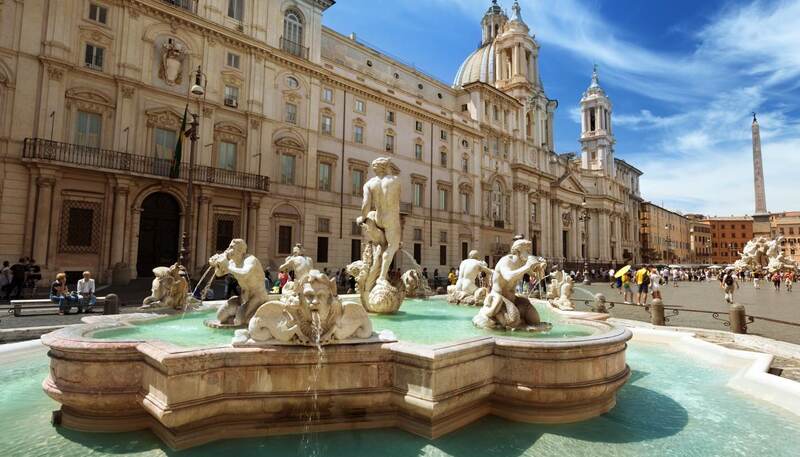 Extras include entry to the dome, the Vatican Gardens, and the Vatican Grottoes. Telephone: +39 6 6988 3731. Mon-Fri 0700-1900 (Apr-Sep); daily 0700-1830 (Oct-Mar). The oldest public art collection in the world, the Capitoline Museums are made up of two separate buildings: the Palazzo dei Conservatori and the Palazzo Nuovo. They house the country's most important collection of Roman sculpture. There’s also a fine array of Renaissance and baroque art by Titian, Tintoretto and Caravaggio. Piazza di Spagna is little changed from the 18th century and is still dominated by the elegant sweeping staircase known as the Spanish Steps. Designed in 1723-26 by Francesco de Sanctis to link Via del Babuino with Via Felice, the steps lead to the 16th-century Trinità dei Monti. From here, spectacular views over Rome’s rooftops more than warrant the steep climb. A breather from the hectic city, the Villa Borghese Gardens include a zoo, a horse-jumping arena, mock ancient temples and a lake. The park also harbours Rome's most glorious gallery, the Galleria Borghese, a treasure trove of sculpture and antiquities, with masterpieces by the likes of Caravaggio and Titian, all housed in rococo splendour. To visit the Galleria, you must reserve your visit time in advance. Also known as the Orange Garden (the name comes from the many orange trees growing here), this small garden is one of Rome's best-kept secrets. Sitting atop an ancient fortress on the Aventine Hill and overlooking the Tiber River, it offers excellent views of St Peter's dome and the city. Get your camera ready for amazing shots. This gallery harbours some of the extraordinary wealth of the Doria Pamphilj family, a pillar of Rome's papal aristocracy. Think gold, mirrors, red velvet and gilt, and walls covered in art, including paintings by Correggio, Caravaggio, Titian, Velázquez, Brueghel, and Dürer. The free audio guide features Jonathan Doria Pamphilj who brings the palace alive, recalling childhood memories of roller skating along the parquet floor of the 18th-century ballroom. Telephone: +39 6 679 7323. Rome's municipal museum of modern and contemporary art is located in a converted Peroni brewery. The venue pulls in big international names as well as young and local artists. Some shows are also displayed at MACRO Futura, a second venue in a former Testaccio slaughterhouse.